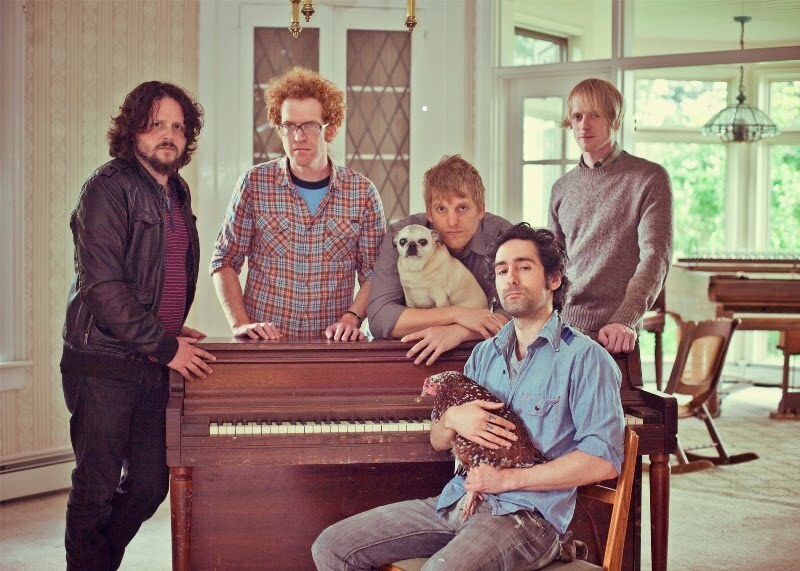 Blitzen Trapper will be releasing their new record, American Goldwing o n September 13 via Sub Pop Records. They will also embark on a North American tour in support of the new work. Nothing for our lovely city has been announced yet. But, keep an eye on their website to see when they'll be playing near you. With subjects ranging from falling in love to drug running good old boys and the final high school dance, American Goldwing is a freewheeling collection that balances the roughness of rock 'n' roll with fateful heartfelt loss. "It's me trying to evoke a true American nostalgia" explains lead singer and songwriter Eric Earley. "My vision and focus while writing our new album was on the inescapable past" Eric adds. "It's about those feelings of being trapped in a small town. That fine line between the rural and the suburban settings that define much of America, that line between love and loss that occurs when you find yourself taking it too easy and sticking around a lonesome town for far too long." American Goldwing is "us letting our loves and early influences hang out for all to see. We entered into the sounds we grew up with - the hard guitar rock and country picking of our younger years mixed with glimmers of our usual space-aging technology and pawn shop Casios. Heavy guitar riffs and blasting drum fills live side-by-side with plucking banjos, wailing harmonicas and muddy slide guitars. The earthiness of these songs will make you want to get loaded and get in a fight, or find a girl and fall in love forever, simultaneously."